It's almost here! The weather forecast is for spring-like weather this weekend and I'm ecstatic. 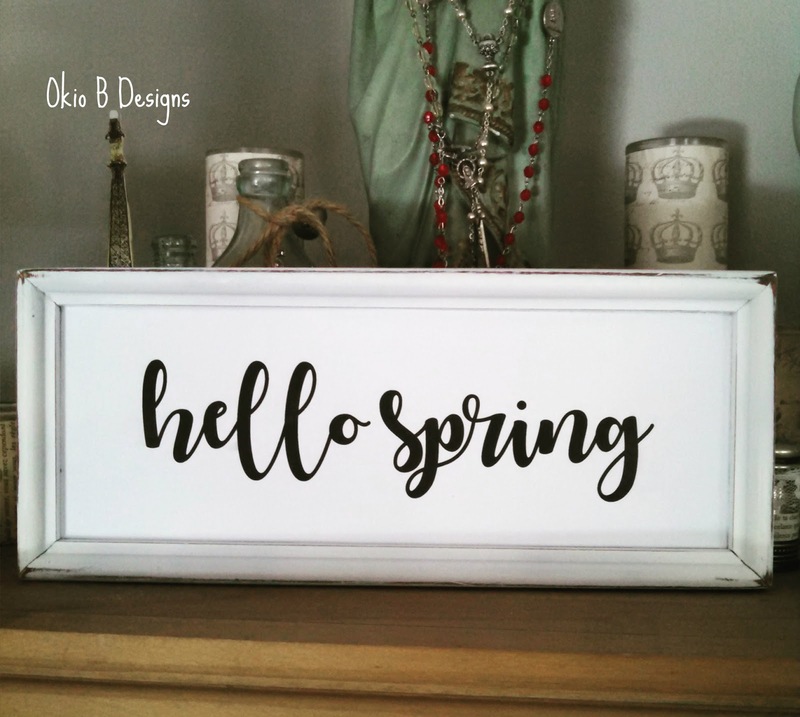 Perfect timing too for this sweet spring sign I whipped up earlier this week. I used a frame that I found at our local thrift store and...paper! Yup, paper. 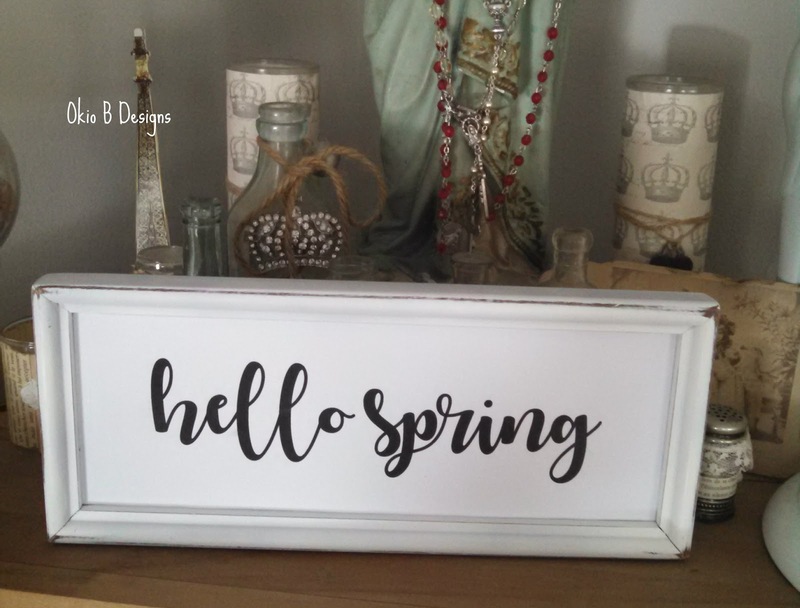 I did not stencil those letters or use my Cricut. After I painted the frame white, I simply found a font I liked, spelled out my phrase and printed it out on plain white paper. I cut it to fit my frame, broke out the Mod Podge and just glued it on. Seriously, it doesn't get any easier than that. And the best part is you can't even tell it's paper. Well it fooled my husband and two boys anyway. I'm looking forward to starting some new projects this weekend so stay tuned! Cute idea - what's the name of that font?